Film producers are preferring to use the best of the internet to connect with the audience these days. Almost all breaking updates are made through Twitter and Facebook. Likewise Studio Green production banner has made a breaking announcement today (21st September) through their Twitter handle. This Suriya-Vignesh Shivn project will no longer be called as Suriya 35. The film has been titled as Thaanaa Serndha Koottam. The female lead for this project has not been announced yet. But names like Keerthy Suresh and Nayanthara are speculated to be considered for this role. It is official that Anirudh has been roped in to compose the songs. Breaking: Lady superstar for Suriya35? This page hosts a weekly slideshow related to Tamil movies. Each slide includes a picture and some description about that picture. All the slides will have a recurring theme. People looking for actress stills, actress images, actor stills, actor images, movie stills, movie images, and other interesting topics, relevant issues in Tamil cinema will find this page useful. JUST IN: SURIYA 35'S OFFICIAL TITLE ANNOUNCED! 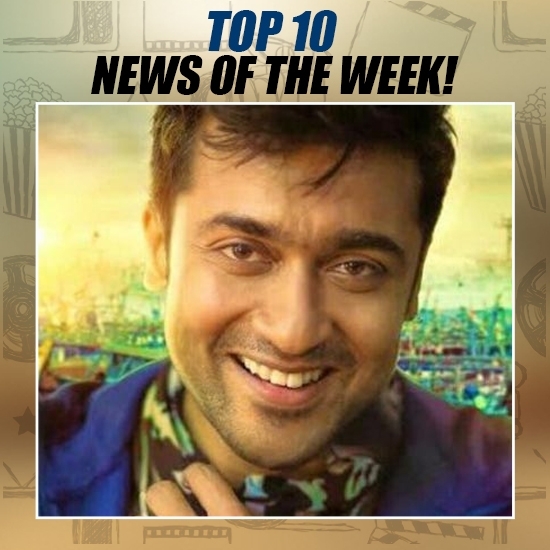 | Top 10 news of the week (Sept 18 - Sept 24).